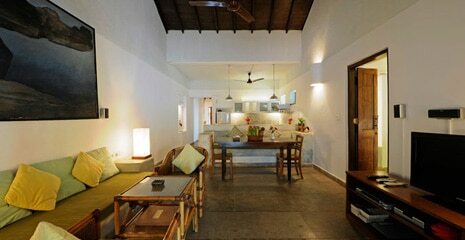 This arrangement of 3 similar beach villas (2 bedrooms each) accommodates up to 12 people in 6 double bedrooms with 6 en-suite bathrooms. 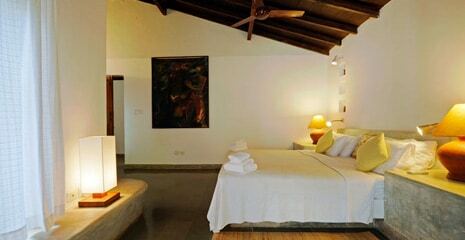 The villas are ideal when it comes to location, facilities and service. 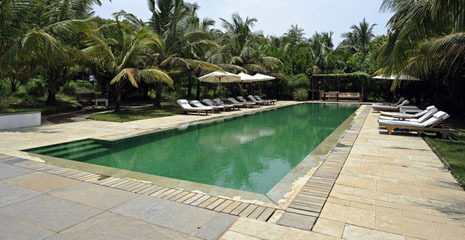 All that stands between the villas and the beach is a 4 acre private estate and a splendid 25 meter swimming pool. 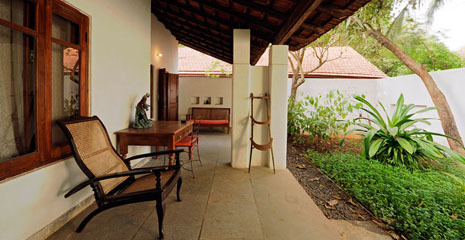 The beach villas are unique in terms of layout with an exemplary standard of accommodation and an open plan design encompasses living and dining. 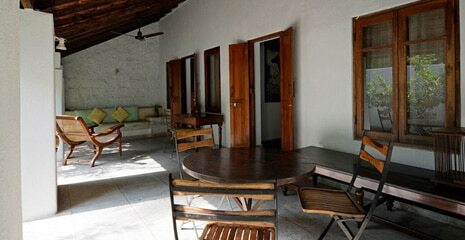 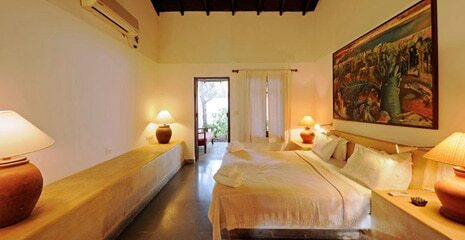 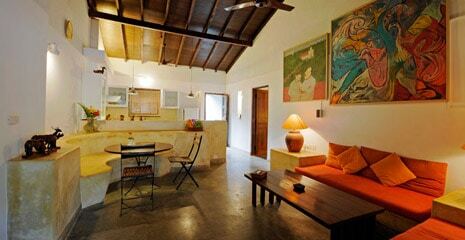 Each beach villa has own patio and verandah enclosed in a private courtyard. 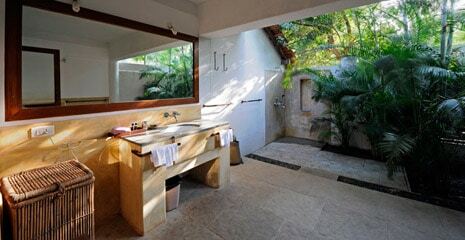 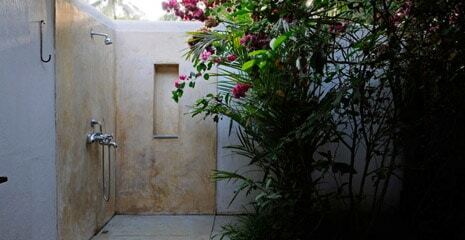 The bathrooms are open roofed for a shower in the sun or under the stars. 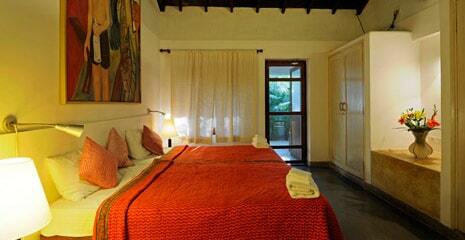 There are 2 double bedrooms, a studio style kitchenette and sitting room and the bedrooms are air conditioned. 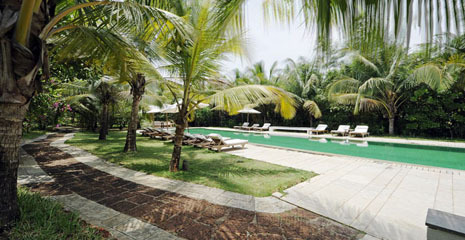 The 3 adjacent beach villas are located in a private compound with a shared pool. 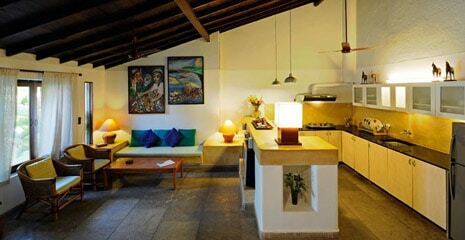 All 3 villas together can be rented for groups of up to 12 people.